A recent addition in permeation test systems for measuring water vapor transmission rates of barrier films and packages. The Permatran-W Model 3/61 was designed to provide you with fast, accurate answers for all of your packaging needs. 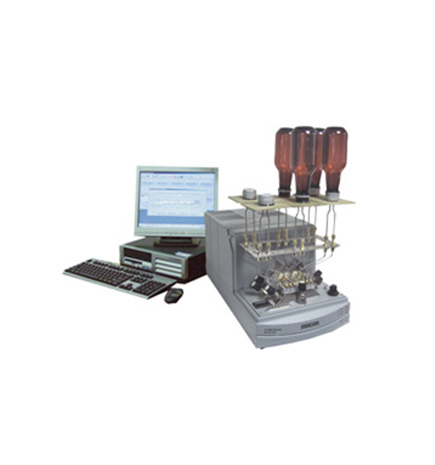 Ideal systems for production and QC/QA testing applications. This system incorporates the latest in high-sensitivity sensor design and features 6 test cells for flexibility and speed. Includes precise RH and temperature measurement and control, user selectable sensitivity, package testing capabilities and N.I.S.T. (National Institute of Standard and Technology) traceable calibration films. Complies with ASTM F 1249, TAPPI T557, JIS K-7129. Better option for Industries who want to analyse their Package (Bottles, Pouches, Cans etc) samples for WVTR. WVTR transmission rate test system for flat films or packages. Test up to 6 samples simultaneously on a single module. Designed for Package testing to delever high throughput for bottles, caps, cans, vials, pouches WVTR analysis.